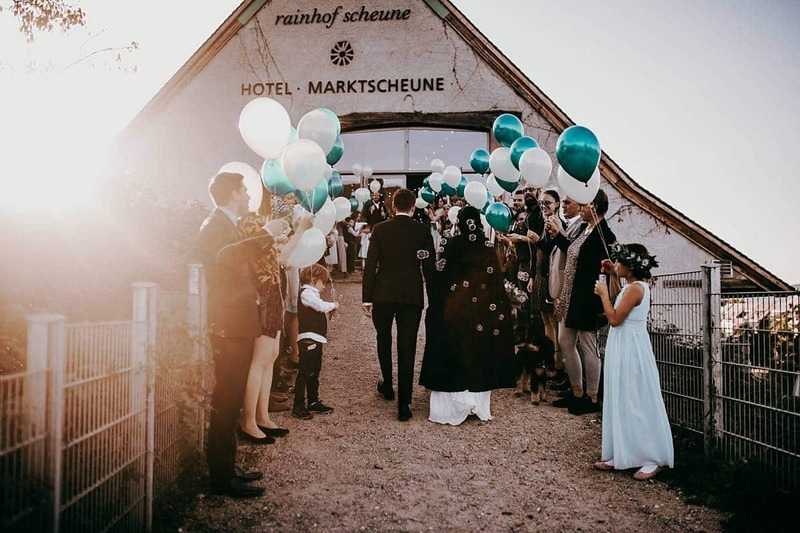 Vanessa & Jannik are a very warm, down to earth couple, all reflected into their wedding. The free wedding took place outside of the Rainhofscheune. As wedding decorators, we were there early in the morning, setting up all the chairs and distributing copper lanterns for a stylish ambience. The aisle of the wedding ceremony set-up was equipped with tall stands, eucalyptus and white bands provided the desired wow effect. As a location, the two thought out the wonderful Rainhofscheune in Kirchzarten. On this basis, we wedding designer created the concept – natural, rustic but elegant. 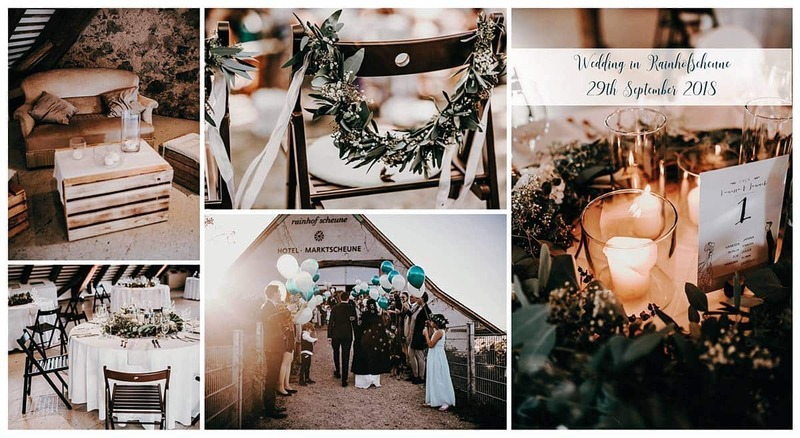 We stayed in color in the currently very popular Greenery, which means a lot of eucalyptus with a few single white flowers as highlights. As a wedding designer, we opted for floor-to-ceiling tablecloths in white, great wooden folding chairs in dark brown, linen napkins in natural gray and many candles. Each table was decorated with a large eucalyptus wreath with many pillar candles in glasses for the cozy ambience. Of course, a cozy chill-out lounge with a sofa could not be missing. 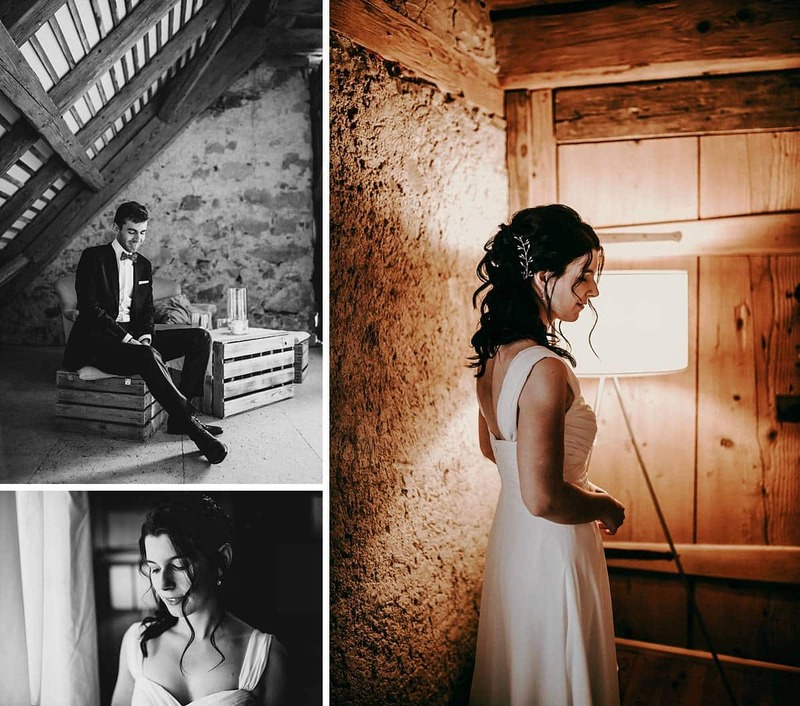 Dear Vanessa, dear Jannik, Thank you for your trust and your booking and wish you all the best for the future!